CHRISTIANA (WPVI) -- Delaware State Police are on the scene of a crash along Route 1 in Christiana, New Castle County. 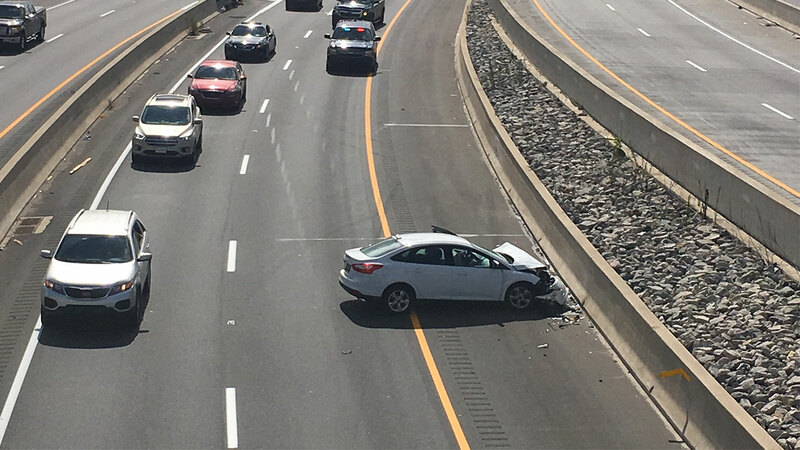 The crash occurred just after 12:30 p.m. on Saturday in the northbound lanes near the Christiana Mall. Police say two cars are involved in the crash. One car lost control, crashing into the barrier. The driver of that car did suffer serious injuries.